Among the Old Masters of France before the revolution, Jean-Baptiste Greuze was one of the most popular. He was notable for his moralistic genre painting, but also stood out for his exceptional talent in portraiture. Neoclassical painting replaced the art style of Greuze, whose prime ambition was to be known as a history painter. It was not meant to be because his 1769 submission to the French Academy, entitled “Emperor Septimius Severus Reproaching Caracalla” was rejected. The Academy might have rejected the painting but the editor of the Encyclopedie, Denis Diderot, said Greuze represented the greatest ideal of French painting. It is true that his genre paintings of everyday scenes were some of the greatest in the 18th century and could be placed side by side with the paintings of several famous painters such as the Le Nain Brothers and Jean Chardin. It is to be noted that his portrait paintings combined Rembrandt’s insight and Rococo art’s charms. The start of Greuze’s career was a mix of luck and opportune associations. He was born in Tournus, a commune in Burgundy on August 21, 1725. He exhibited his art skills early, which was nurtured by his drawing teacher, Charles Grandon, who later took the young Greuze with him when he went to Paris. Greuze took lessons in figure drawing at the Royal Academy’s school when he came to Paris. 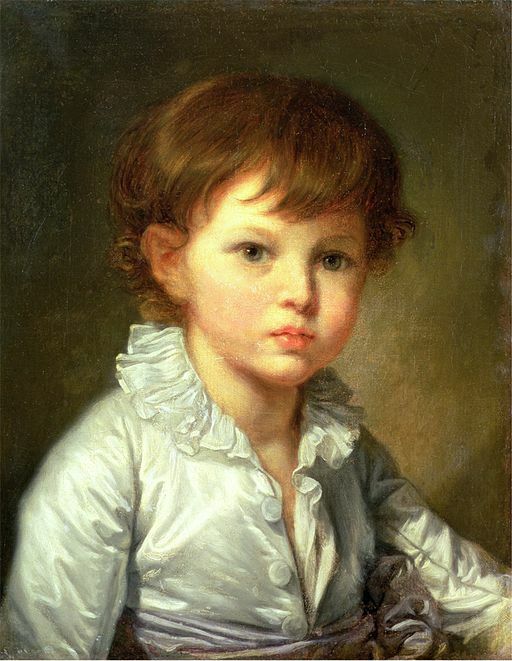 His teacher was Charles-Joseph Natoire, a Rococo artist. He initially remained unnoticed at the Academy, but gained immediate attention in 1755 when he created “A Father Explaining the Bible to his Children,” his first significant genre painting. It was quickly recommended by Louis de Silvestre to the French Academy. At that time, the painter was a prominent history and portrait artist. During that same year, Greuze had created the hailed portrait of the famous artist. The recommendation proved fruitful for Greuze as he was elected as an Academy associate member. 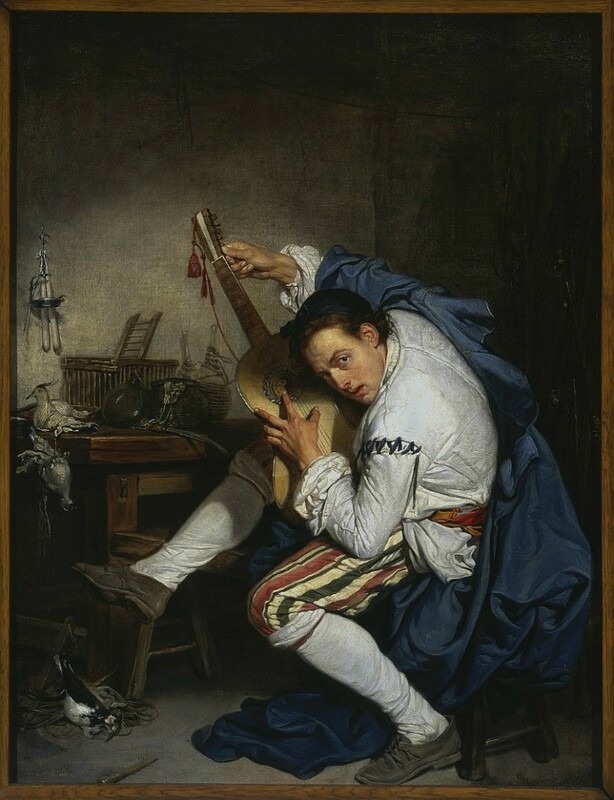 Another of his genre paintings, the “The Blind Man Cheated,” also created in 1755, was exhibited at the Paris Salon. His fame grew by the time he was 30, with his religious paintings called a win for Christian virtue vis-a-vis the whimsical and immoral paintings of Francois Boucher, who was a favorite court painter of that period. Even the critics loved his work. His paintings indicated that Greuze was a careful observer and truly understood his subject matter, which showed his great admiration for the genre paintings of Dutch Realists. In the latter part of 1755, he decided that he needed to further his education with a trip to Italy and visited Rome and Naples with Abbe Gougenot, a member of the Grand Council and a celebrated archeologist. He developed a taste for the picturesque due to his Italian trip. By 1761, Greuze again introduced another style in his work, combining historical background with genre scenes, starting with “Village Betrothal.” With this style, he was able to fully express the feelings of his subjects. His painting again gained great success and he created several painting in this style, such as The Paralytic nursed by his Children” in 1763 and “The Beloved Mother” in 1767. With their anecdotal quality, his paintings during that particular period of his career were evocative of the works of 17th century Dutch genre painter Jan Steen. As previously mentioned, Greuze wanted to be known as a history painter but his hopes were crashed when the Academy rejected his painting. In retaliation, he became more focused on his work. He used darker colors, added new tension to expressions and attitudes of his subjects and created works where figures showed dignified gestures. When genre paintings started to lose favor from patrons, he started doing portraits, which also proved beneficial to Greuze, as he remained successful. He was considered as one of Paris’ best portrait artists during the latter part of his career, with many of his works regarded as sublime.